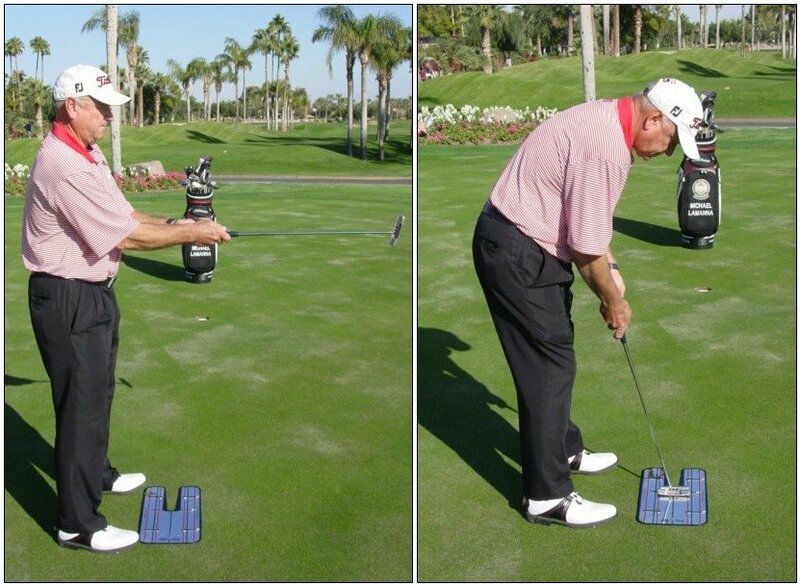 yourself for a belly putter. 1. Lay a mirror on the ground and use its center to represent the ball. 2. Measure the length of your current putter (mine is 33 inches). them against either side of your rib cage (left photo above). lie on the belly putter will be between 68 and 74 degrees. offset for your belly putter. more of an arc stroke path rather than a straight line stroke path.